Here at Maughan Thiem Ford Cheltenham, we’re proud to offer affordable and reliable car servicing options to Ford owners in Cheltenham. Our factory-trained Ford technicians are committed to offering you the highest level of support and service, each and every time you visit our Ford service centre. Here are Maughan Thiem Ford Cheltenham, we don’t want you to be without your wheels while you wait for your service. Drive your Ford in for a scheduled service, and you’ll drive out with a free loan car. All you need to do is book a loan car when booking in your service! When it comes time to replace your tyres, you can rest assured knowing you’ll always get a great price on the most trusted tyre brands. At Maughan Thiem Ford Cheltenham, we’re committed to offering the most competitive prices, however, if you do find the same tyres at a lower price, we’ll match it within 30 days of purchase – that’s our guarantee! No mechanic knows your Ford better than those trained by Ford. 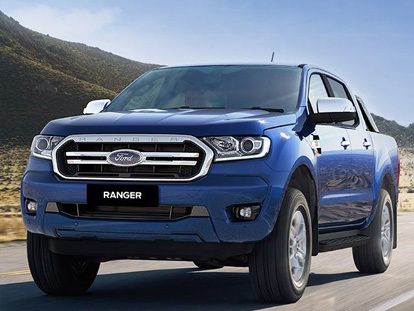 Maintain the integrity and safety of your car with quality workmanship and guaranteed genuine Ford parts when you service your car at Maughan Thiem Ford Cheltenham. For more information about our servicing options or to book your Ford service today, Contact a team member of Maughan Thiem Ford Cheltenham!